This is the Bloglikes sister site of Bookworm Book Reviews. I love books of any kind, so I review many different kinds of books, but most are YA and/or PNR. Please visit my main site to see more reviews and features. Thanks! Torment picks up where Fallen left off. Cam and Daniel have made a truce, as well as the other angels and demons, in order to fight off the other beings that are after Luce. 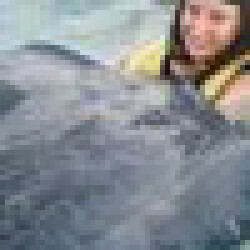 Word has gotten out that she can be killed forever this time around so she is in much more danger than she was before. Daniel takes Luce to another school, Shoreline, where she is supposed to be safer. He tells Luce that he will not be there with her, which upsets Luce and causes her to feel alone, confused, and abandoned again. She meets a teacher, Francesca, another angel, who takes her to her room. Luce wakes up the next morning and meets her roommate, Shelby, who is fairly hostile and definitely not happy to be Luce’s roommate. Shelby explains that the school is composed of a mixture of mortal students as well as Nephilim (descendents of angels and mortals). Shelby is Nephilim and tells Luce that even though she is mortal, she will be in the special classes with the other Nephilim because of her relationship with Daniel. This causes Luce to feel even more out of place. At breakfast, Luce meets some other students who already know who she is and who treat her a little like a celebrity. These other students know more about Luce’s past with Daniel than Luce does. Naturally, this frustrates Luce because Daniel has been so tight lipped about telling her about their past. Luce spends much of this book struggling to find out more about her past lives and her past with Daniel. I was able to better identify with her in Torment because she raises the questions that I had while reading the first book, and that I would have if I were her. Why is the relationship between Luce and Daniel so important? Why did Daniel take the fall from Heaven to be with her? What is their history together? She wonders all these things and presses Daniel for answers but he will not tell her. This leads her to try to find the answers on her own. She and Daniel spend a lot of time arguing with each other in Torment because of her frustration at not having the answers she needs and his refusal to help her understand. She wonders if her life would be better if she were involved with a normal guy and if Daniel had never chosen her. 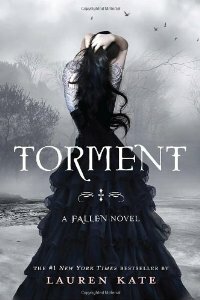 I actually liked Torment better than Fallen because I felt like Luce showed more spirit in this one. She wasn’t so consumed by her attraction to Daniel that she was afraid to challenge him. It got her into trouble a few times, but I don’t see that as her fault. If Daniel would just be open with her, she wouldn’t feel so desperate to find answers on her own. I got annoyed with Daniel myself. I felt sorry for him on occasion because there were times when Luce’s actions hurt him, but still. I just wanted to smack him and say, “Just tell her what she wants to know!”. Not to mention, I’d like to know as well. At the end, I was again left with more questions than answers, but the ending of Torment led me to believe that much will be resolved in the next book, Passion.